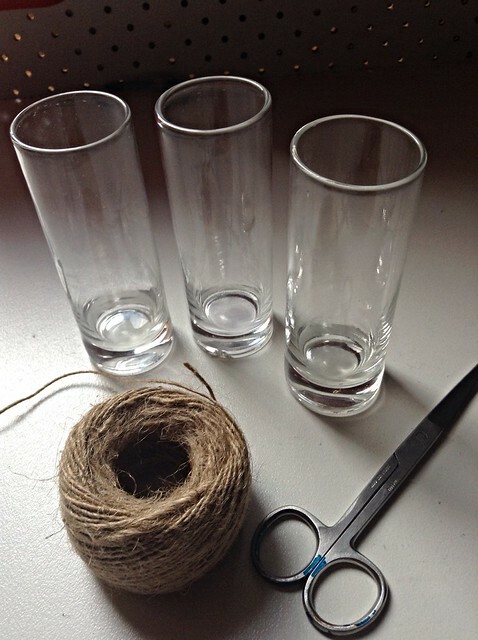 I stopped by the “Dollar Store” the other day and when I saw these little shoot glasses a creative idea came rushing into my mind. 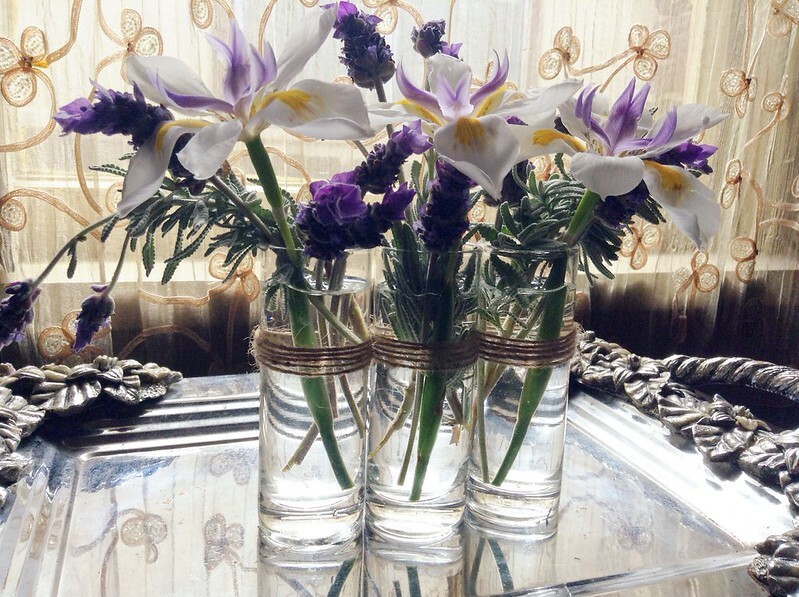 I could almost see them as a “Mini flower vase” for my kitchen window….and at just only $0.80 cents each glass, I truly couldn’t resist buying them! 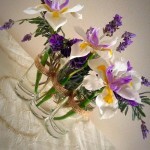 3 glass vases of your choice. A string of Natural jute twine. It was very easy! I hope my pictures speak for itself. 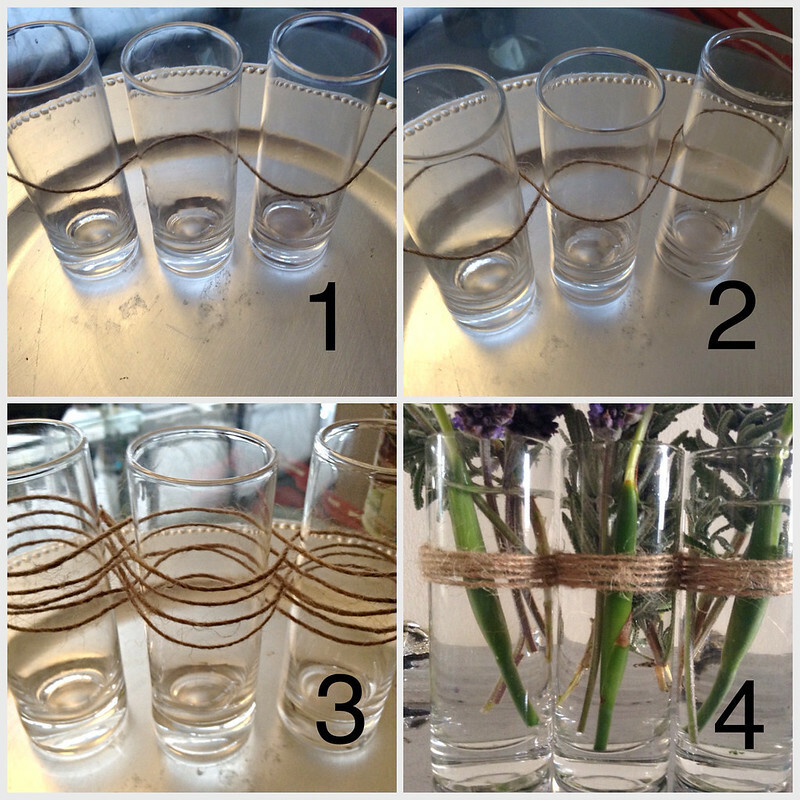 Go around the glass vases in a zig- zag motion making loops around them. 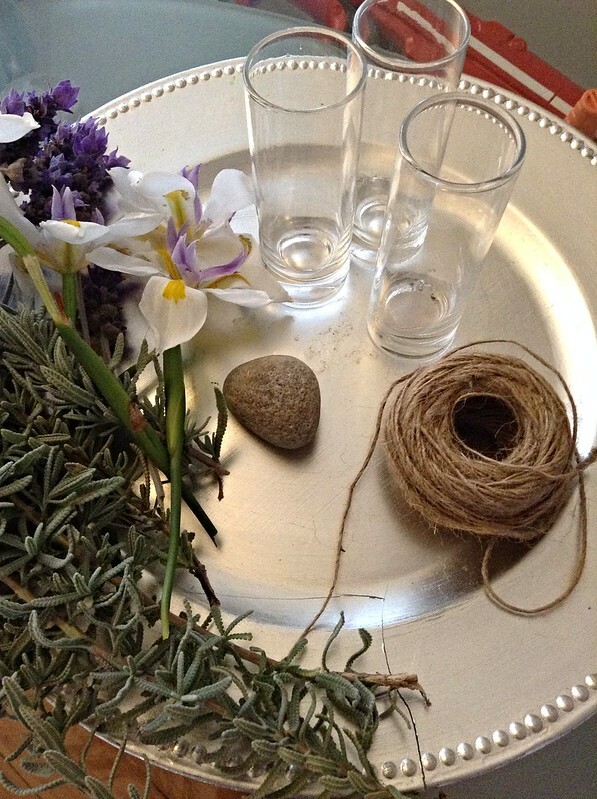 I did it five times because my jute twine was quite thin, but if you have any thicker twine it will probably look better with 3 rounds. Make a little knot at the back and hide it under the strings. It ended up looking so pretty that I left it on my entrance table. Perhaps it’s time to go hunting for more glass jars. My kitchen window still needs a little something !!! …. I read this article and found it very interesting, thought it might be something for you. The article is called D.I.Y. 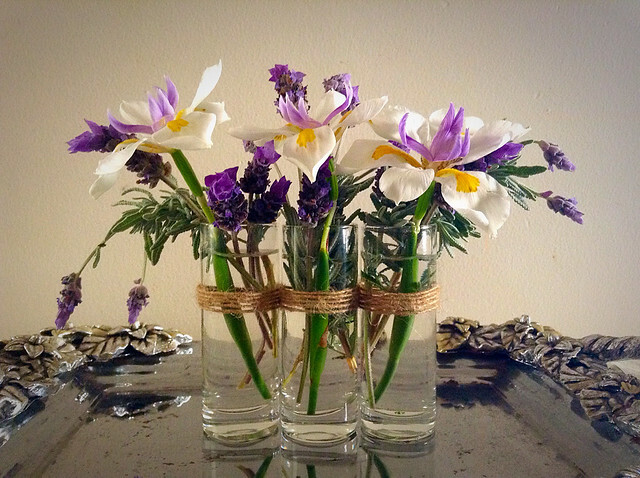 -Budget friendly flower vaseand is located athttp://colorandlove.com/d-i-y-budget-friendly-flower-vase/. 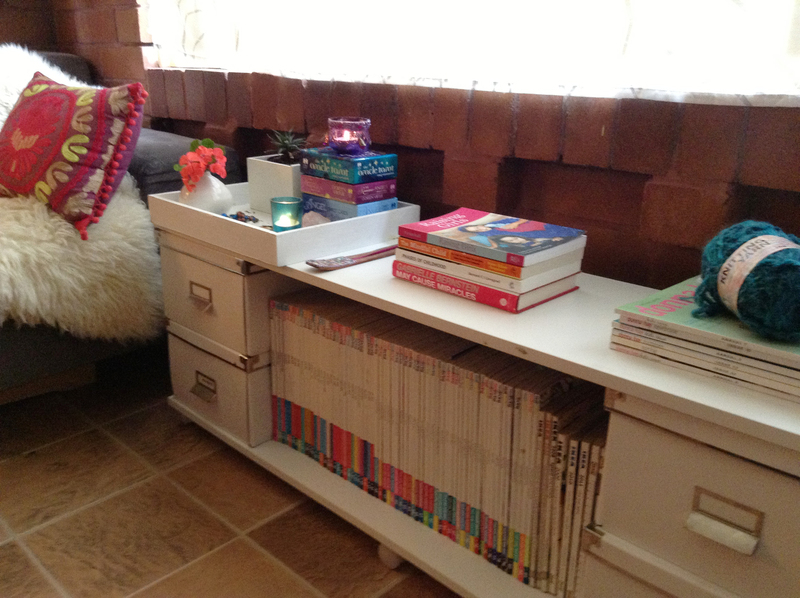 DIY- Temporary “Coffe-Book” Table Christmas : Toilet paper roll craft DIY- How to make a Wall Lamp “Shabby Chic” Style.